No results in about 10 minutes. That is to after you located the problem. 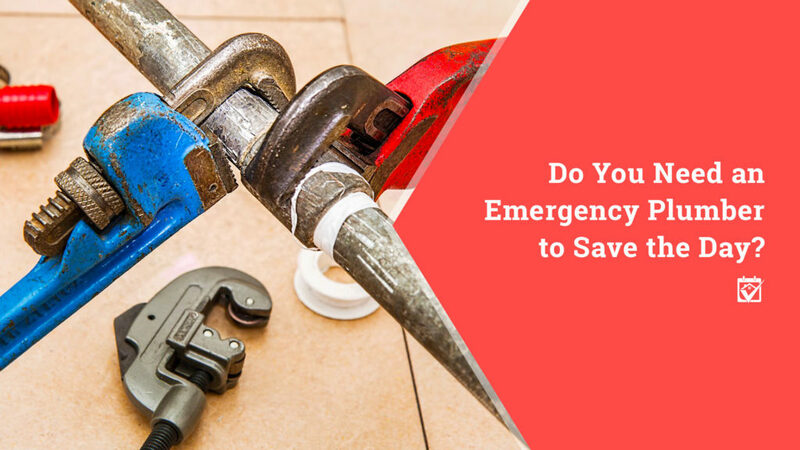 It can be very time consuming to track down a clog, leak But once you find it, if you’re not starting to make any headway within about 10 minutes, you need help. You’re just going to get more frustrated and tired and it’ll take even longer for the plumber to get there. Every drain is backed up. If you notice your tub is backing up and every drain that’s before it in the plumbing architecture is also backing up, you have a big problem. I’m not saying in the line, but it might in the line. Or a toy your child flushed. Either way, this is where the kind of cameras that plumbers use to evaluate sewer lines come in really handy. You have no water pressure to more than one outlet. No pressure to one sink or appliance might indicate a bit of sediment in the little screen filter that is sometimes fit between the device and the water line or that you forgot to turn the valve all the way back to the “on” position. However, if a few of your plumbing fixtures are this problem, you could have rust in the lines or other problems that need a pro to fix. I know I always “think” I can fix the problem! This content was provided by HomeKeepr. If you do find that you need a plumber, make sure you download my HomeKeepr using this link and check out my recommendations.